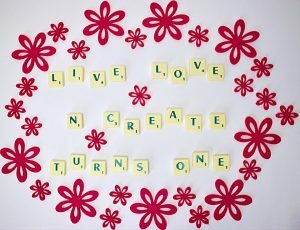 Live Love n Create turned ONE this past weekend! It feels so weird saying that since its not a person or an animal. Haha. But the truth of the matter is, I’ve been posting on this little blog of mine for A WHOLE YEAR!! Who would’ve thought this little project of mine has been alive for over a year?! To celebrate, I thought I’d do a little bit of a different post this week. Kind of a trip down memory lane if you will & talk about this second year ahead, what my goals are and what you can expect from me. I know I’ve done something similar at the beginning of this year but goals change so, why not talk about what has changed since January. 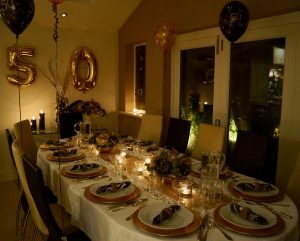 My first actual blog post I shot was my mom’s 50th birthday back in January last year. It took me about 2-3 months to set up my blog since I was taking a course every week, I worked on it at a pretty slow pace. I know its only been a year but its funny to see how my photography has evolved. I also made my first YouTube video – a tutorial I filmed on my Iphone… and its actually my most popular video! 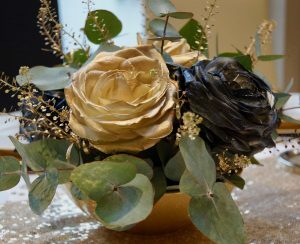 You can watch it HERE if you want to learn how to make this black and gold centerpiece. Here are some of my favourite blog posts since… and BTW I’d love to hear what YOUR favourite ones are. 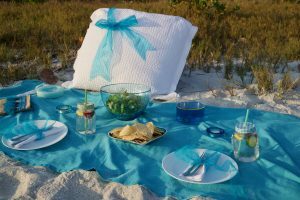 This beach picnic was so challenging to create because I had to bring everything FROM EUROPE TO FLORIDA (I’m crazy, absolutely CRAZY!) but I love the lighting and that turquoise colour is my absolute favourite. I love to shoot in different locations, it makes it more challenging but also way more fun. 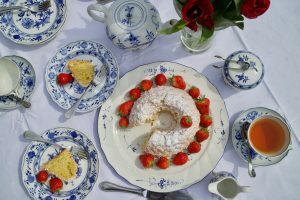 One of my all time favourite cakes – and its GLUTEN FREE! Its an almond cake – find the recipe HERE. Definitely another one of my favourite cakes. 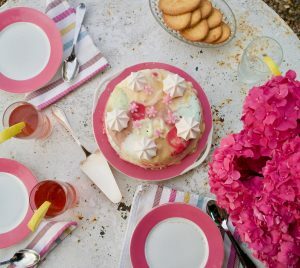 This ice cream cake is so festive and so photogenic. A blogger’s DREAM! hahah. Find the recipe HERE. Oh those summer days… I’m excited to shoot some more content this summer in the South of France. Such a fun season! 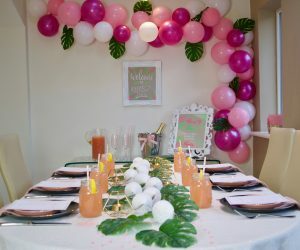 My sister’s 21st birthday was a total hit and so much fun to plan! It was also a favourite amongst you all as well. 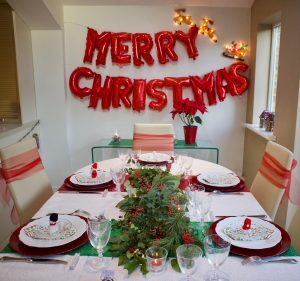 Fast forwarding it to Christmas (although I also love my Halloween decor & Thanksgiving tablescape!) because I LOVE THE FESTIVE SEASON. I’m already looking forward to creating amazing content this year. But let’s move on because nobody wants to talk about Christmas in APRIL! Haha. THIS ONE is an absolute favourite of mine!!! 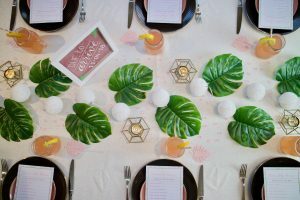 I love this tablescape so much. Oh and this was my first collaboration, with Michelle! The wonderful woman behind Scritto, a calligraphy shop. Her work is amazing. It was a dream working with her. And my collaboration with Christina from Sunshine Tulip Design for Saint Patrick’s Day. She sells the cutest printables over on her Etsy shop! Watch out for my first YouTube video this year! 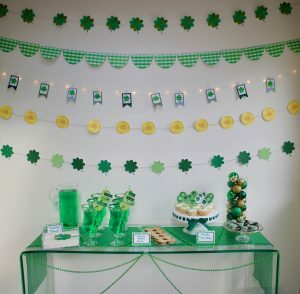 I’m taking you behind the scenes planning a birthday party! 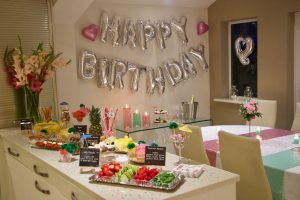 We’re talking where I get my inspiration from, some arts & crafts, balloon garland making (a few of you asked me to do a tutorial so I’m including it there! ), making fun cupcakes… and more! I’m excited to see how the video turns out! 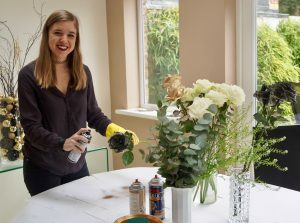 I’m creating a new section on my blog called “Corner of My Home” where I’ll be talking about all things for your home – from DIYs, to how to organise your home, to sharing with you interior decor inspiration. 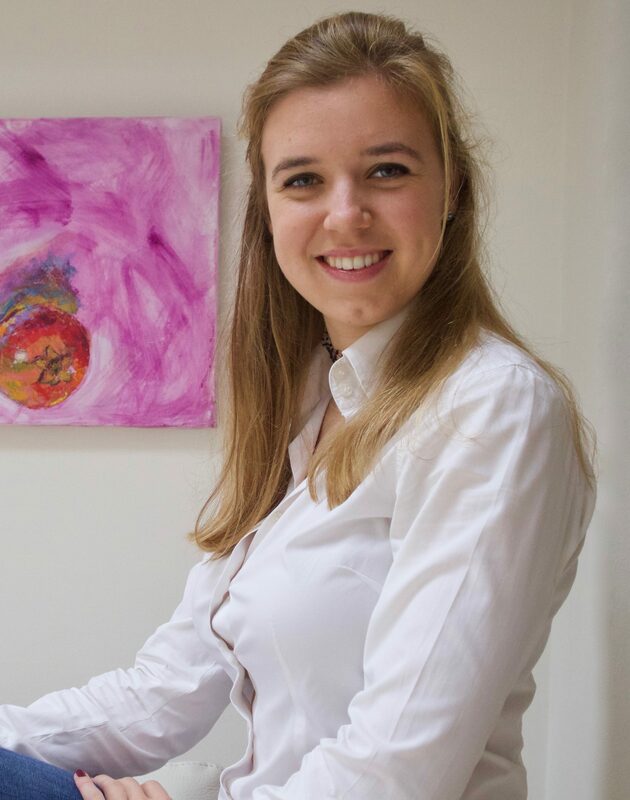 My first blog post is coming up NEXT WEEK with the wonderful Kirsty from Taste & See. My very first wedding shoot!! 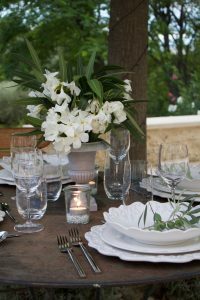 Oh weddings are my absolute favourite event to plan – I’m lucky to be working alongside an amazing wedding planner every day. Watch out for some amazing new wedding related content on Live, Love n Create just in time for the wedding season! Revamping my Pinterest account! I’m trying to be more active over on Pinterest as for me personally, it plays such a big part in getting inspiration. Follow along if you wish, I’d love to have you on board! An email subscription list you can sign up to be the first one to know what’s going on on Live, Love n Create and other things in the event styling & planning world as well as more personal updates as well. I realise I personally tend to enjoy more influencers whom I feel like I know more personally (even if that’s not the case) than those who only share their work – so based off of how I feel, I’m trying to recreate this, whether its sharing mini updates or personal stories within my blog posts or posting more day to day things on my Stories… I would love to hear your thoughts on this! I have a hard time gaging what the right amount is. 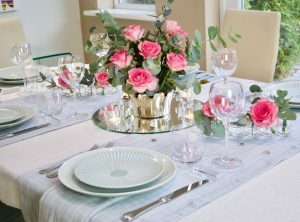 There’s so much more coming, I’m bursting at the seams with ideas for Spring & Summer!! I feel like I’ve done a nice roundup of what’s going on with Live, Love n Create at the moment. BTW, I’m doing a poll over on my Instastories trying to get a better idea of what YOU would like to see more of so follow along so you can participate! It would really mean so much to me & be super helpful. But as always, don’t hesitate to contact me here or by email or leave a comment below with any feedback or ideas. I hope you had a wonderful, WONDERFUL long Easter weekend!!! Thank you SO much for following along. I wouldn’t keep doing this if it weren’t for your words of encouragement! I had a look at all your posts in the past year! It is amazing. 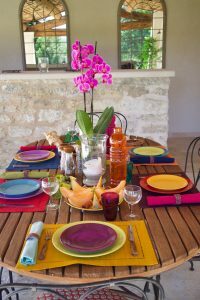 My favorite ones, because l can’t choose only one, are – a couple cooks because the colors in your table were beautiful and – blue January because it gave me a new look at this room l know so well! Lots of love.